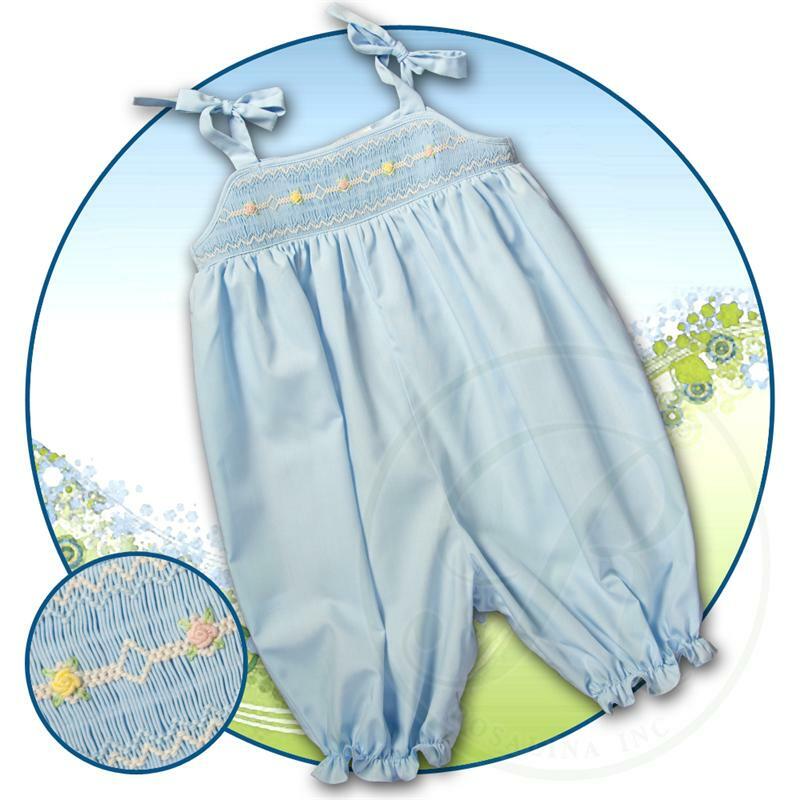 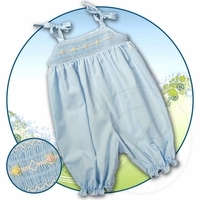 This adorable little blue cotton blend long bubble is made by Rosalina, a leading designer of quality childrens' smocked apparel. It features a band of English smocking at the top with pink and yellow embroidered rosebuds. 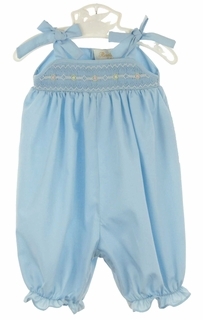 The romper has full bubble styling with elasticized ruffled leg openings and crotch snaps for ease of wear. 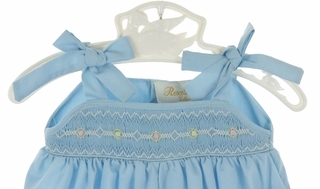 It has a back buttoned closure and shoulder tie straps. A darling spring or summer bubble for your baby girl!